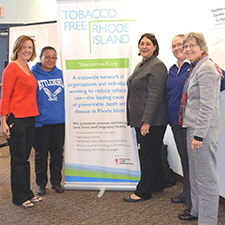 Tobacco Free RI is first and foremost a network of organizations and individuals dedicated to reducing tobacco use in Rhode Island. 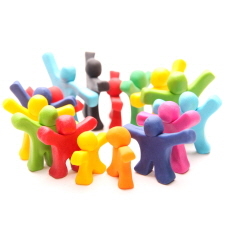 We organize and empower our partners by providing information, strategy, and communication. Our strength comes from the commitment of our partners and grows as more people join our network. It takes all of us to truly effect change through consistent and persistent engagement. There are many ways for both organizations and individuals to get involved with our efforts. Kenneth Eade, an American lawyer and author, said, “You will always be a puppet on someone else’s line if you don’t care enough about the big picture to let your tiny voice be heard. 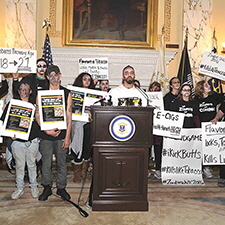 When it is combined with the tiny voices of millions of others that is the real power.” Tobacco Free Rhode Island IS made up of individuals like YOU and together we MATTER! Sign up to become a Tobacco Advocate TODAY! There truly is strength in numbers and as our network grows, so does our ability to effect change. TFRI is a vital source of advice and technical assistance for our network partners, sharing best practices, convening meetings and training sessions, and helping members collaborate more effectively around common goals and policy change strategies. By becoming a partner you gain access to a statewide network of individuals and organizations committed to your success – making you and us stronger. TFRI coordinates or participates in a number of events every year that are intended to raise awareness, empower stakeholders, and effect change. These events include conferences, training sessions, rallies – even a “Zombie Walk.” Attending one of our events will help introduce you to our network of partners and the work we’re doing to reduce tobacco use in Rhode Island. You might event have some fun, too. Join us! Reducing tobacco use in Rhode Island is not a single issue. 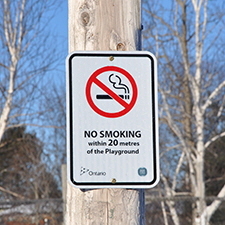 Our efforts encompass a wide range of policies, strategies, and initiatives addressing things like smoking bans, marketing and point-of-sale tactics, the minimum smoking age, and the increasing influence of cigarette alternatives like e-cigs and hookah. The first step to being an effective advocate is to be informed. We can help you get started. Are you ready to get started on the important work of reducing tobacco use in Rhode Island? Do you need help organizing a campaign in your community? Are you looking for the resources and data to amplify your efforts? 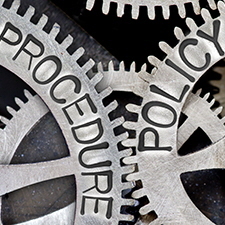 We provide the tools and strategies you need to make an impact, including resources for policy change, capacity building, education, enforcement, and media outreach.